Cape Town - Ipswich Town will play in the third tier of the English league for the first time in over 60 years after a 1-1 draw with Birmingham confirmed their relegation from the Championship on Saturday. Paul Lambert's side - bottom of the table since mid-October - can only garner 12 points from the remaining four matches and fourth-from-bottom Wigan are 13 points better off. 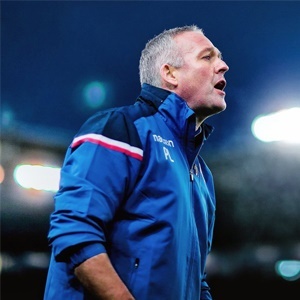 It is the second successive season Lambert has tasted the bitterness of relegation, after his Stoke City side dropped out of the Premier League last year. The relegation of the former English champions and UEFA Cup winners sees them drop down to League One for the first time since 1957 where they look likely to be joined by crisis-ridden Bolton, who are nine points off safety following a 4-0 walloping by Derby County. Derby's win included a hat-trick by Mason Mount, on loan from Derby manager Frank Lampard's former club Chelsea, and puts them just two points adrift of the play-offs. Sheffield United are assured of a place in the play-offs but their eyes are fixed on going up automatically, although their hopes took a bit of a hit in a dramatic conclusion to the 1-1 home draw with struggling Millwall. They moved into second above Leeds United on goal difference but Blades manager Chris Wilder was left seething. Millwall had a late penalty saved but still secured a point when Jake Cooper headed home in the fourth minute of stoppage time. Both West Brom and Midlands rivals Aston Villa consolidated their places in terms of the play-offs. Dwight Gayle grabbed a hat-trick in West Brom's 4-1 drubbing of Preston -- Jay Rodriguez scoring the other for his 21st of the season -- which all but ended the losers' hopes of a play-off spot. Villa edged play-off rivals Bristol City 2-1 in a fiery affair. Tammy Abraham set them on their way with a penalty for his 24th goal of the season. Villa, who recorded their eighth successive victory and are on their best league run since 1975, have a five-point advantage over seventh-placed Middlesbrough. However, Bristol City, who occupy sixth place are just a point better off than Boro.